Want to find out a little more about us at Synergy Yoga and Pilates is in Glenelg, Adelaide, South Australia ? Read on. Synergy first opened its studio doors at Brighton August 2012. Monique wanted to create a studio where people could feel at home, part of a community and offer a wonderful retreat like BOUTIQUE space that offers a range of classes per week to match everyone’s needs. A unique and personalised service that is inclusive friendly and welcoming. Monique recognised that there was a need to create a studio and a community that offered a range of services. Yoga, Pilates, Mindfulness, Meditation, Yoga Training and Education, Courses and Exciting events. All offered by a team of highly skilled and dedicated teachers with many years experience and training in a range of modalities. 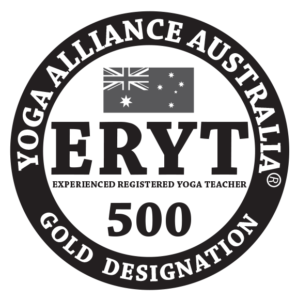 Founder and Director Monique Leverington is qualified and certified by Yoga Alliance International (Australia) 500 ERYT and Yoga Australia Level 2 in Yoga and Pilates. Monique has to date completed 1400 hours of teacher training since 2011. Completed teacher training courses in 400 Hour Yoga & Pilates Teacher Training, 200 hr MBSR (mindfulness based stress reduction), 285 Hour Vinyasa Yoga Teacher Training, Vinyasa Flow Immersion Training, Ayurvedic Yoga Therapy and Consultation with Yoga Trinity, Rainbow Kids Yoga and Family yoga teacher training, Pre/Post natal yoga training with Bliss Babies. Monique has also trained with and dedicates her joy of yoga to her incredible teachers: Leslie Kaminoff (NYC) (author of Yoga Anatomy), Mel McLaughlin (The Yin Space) Maty Ezraty formally from Yoga Works (NYC), Jo Phee from Yinspiration, Sarah Powers from Insight Yoga (NYC), Heather Agnew from Yoga Trinity (AUS), Malcom Huxter (Clinical psychologist and Buddhist Meditation teacher), Bodhin (Phillip) Woodward from Mindfulness Academy Spain. 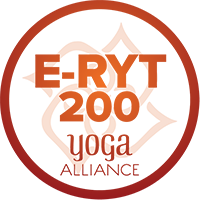 Monique is qualified as a Mindfulness Based Stress Reduction (MBSR) teacher from the Mindful Academy of Spain (Solterreno) in TRR1 and TTR2 completing 200 hours http://mbsr.website/qualification. Monique is one of the few qualified and internationally endorsed teachers in Adelaide to be able to facilitate the course developed originally by Jon Kabat Zinn and his team – The 8 week MBSR training that is now facilitated worldwide and is keeping in line with Gold Standards of University of Massachusetts and Medicine (UMASS), Bangor University (UK). This course is offered in many settings worldwide, including medical, psychological, schools, universities, corporate settings, prisons and other healthcare settings. Monique’s background and other qualifications include Bachelor Degree in Social Sciences and CBT counselling, Post Graduate Degree in Adult Education and teaching at TAFE SA, Diploma’s in Youth Work, Addictions, Mental Health, Community Services and Welfare and Workplace Teacher Training and Assessment. Monique has worked in the Community Services Industry for many years in Adelaide and was also employed as a Lecturer at TAFE SA in Community Health and Welfare Services. Having practiced Yoga/Pilates for a number of years Monique became inspired to learn and become an instructor as she saw the amazing benefits she gained herself from Yoga/Pilates. Monique facilitates Introductory courses in Mindfulness as well as the MBSR 8 week program. Mindfulness has been researched and proven to be an effective tool for dealing with trauma, stress, anxiety and depression. Monique wishes to continue to expand her knowledge and studies in these area’s hoping to provide an overall holistic approach to her teacher training. Monique loves to bring community together for the benefit of overall health, wellness and fitness, she has also co produced with Skye Lockwood an Adelaide based festival known as THE SANCTUARY YOGA AND MUSIC FESTIVAL. Monique is continually inspired by her students and her teachers and has loved the way yoga makes her feel both physically and mentally. A passion for sharing this holistic and ancient philosophy and practice with others so that they may also discover the same benefits offered by daily movement and mindfulness. Monique credits her Yoga and Pilates practice to feeling fit, strong and balanced (body and mind). Monique also has the pleasure of teaching for the new and exciting APP – Meditation.Live as an International Mindfulness and Meditation teacher. Teaching live zoom rooms as well as audio and on demand meditations that are available for anyone to join worldwide.